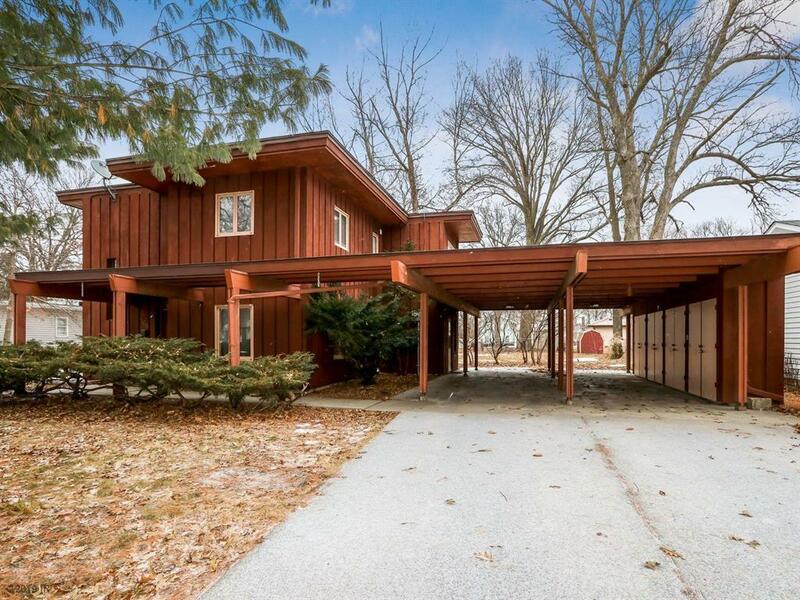 Here is an opportunity to own one of Indianola's most recognizable homes. This unique 3+ bd, 1 1/2 ba home has character in spades. Starting outside you will immediately be drawn to the art-deco styling and the large custom carport with attached storage lockers. This adds a huge amount of outdoor entertaining space and leads to the park-like backyard. As you enter the home you are greeted by a nice-sized drop zone, very functional galley kitchen, and an adjoining half bath/laundry room combination. The dining space is bright and overlooks the yard while just around the corner is the large stone fireplace, living room and the flex room. This can be used as a bedroom or an office/den. What works best for your family? Up the stairs are 3 very nice sized bdrms and the split bath. How unique and functional is that! This unique home has to be seen to fully understand and appreciate. Call today as this one is priced to sell!